Lupron is indicated for use in women whose ovaries tend to release eggs prematurely, or for those who are undergoing IVF procedures. Normally, this IVF med is prescribed along with other IVF drugs to drastically increase the chances of conception. 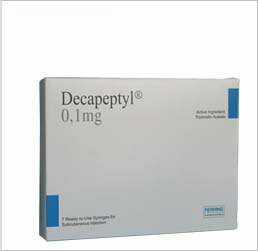 Lupron is one of many high quality infertility medications offered by IVFPrescriptions at a very low cost. 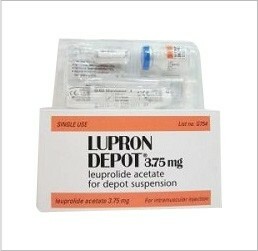 Of the infertility drugs on the market, Lupron 3.75 mg has a successful track record resulting in pregnancy, especially when combined with other medications. 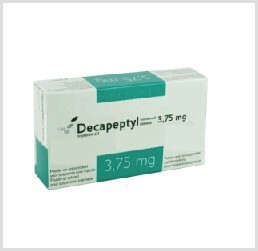 Lupron 3.75 mg is one of many IVF meds that are indicated for use in treating infertility. Because we offer only the top branded IVF medications we are able to help you save on the Lupron price, over most others in the same market.